It’s really hard to come up with healthy and savory items for Halloween, but I tried to make a few last year that I plan to redo again this year. I’m actually pretty excited about the pumpkin ravioli. It was delicious last year. I’ll write the recipe up in Wednesday’s post. Probably the most complicated thing I made last year was the two colors of candy apples. Candy apples are not really that complicated, but you do need a candy thermometer, and you will be working with high temperatures. 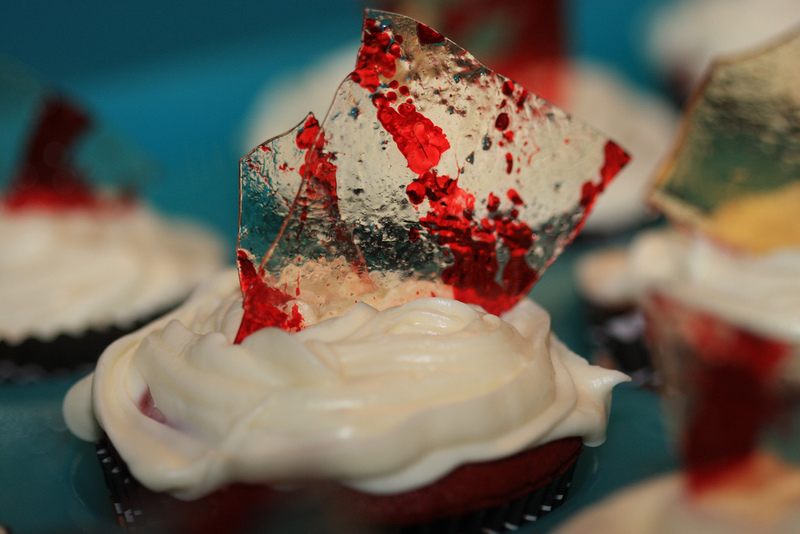 The color of the candy coating is naturally clear, so you could make whatever color candy coating you want. 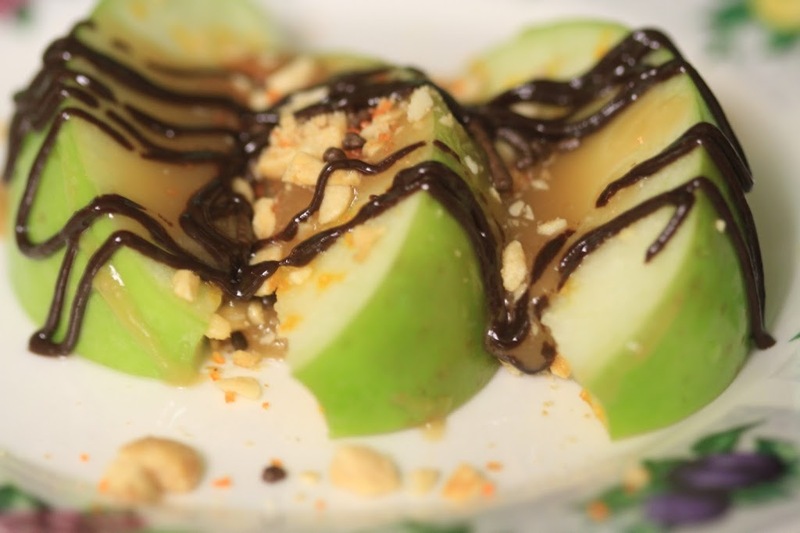 I’ve made bright green candy apples as well. I saw some Pinterest projects that made other vivid colors (like pink and purple) by adding white food coloring along with a color. The white would make the other color more prominent. You can also add flavorings. I used cinnamon in my red and vanilla in my black. You can add any kind of oil based flavoring (like almond extract, rum extract, banana extract, etc.). An important tip for working with candy, any candy, is to have your workstation ready before you start. 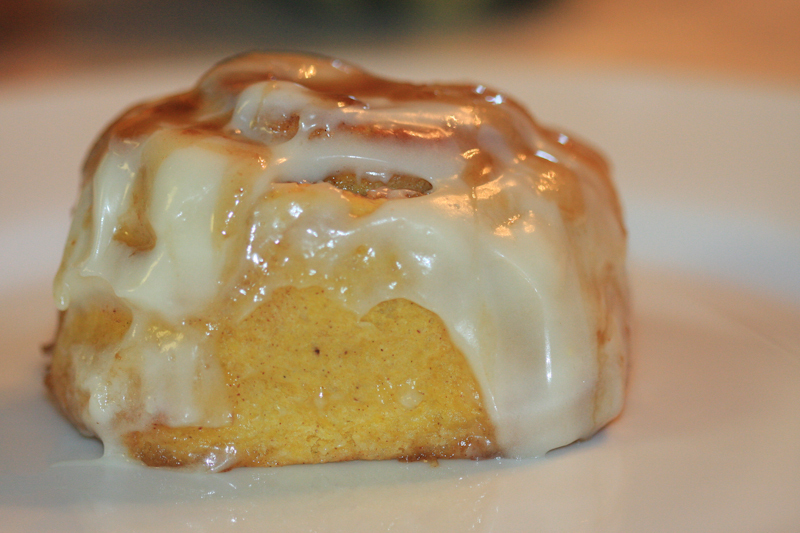 Once you hit your desired temperature, you have to work fast when you’re working with hot sugar. For these apples, I lined cooked sheets with buttered parchment paper on cookie sheets ahead of time. I also washed the apples and lined them up so they’d be ready to dip in the hot sugar. A little tip about the apples. For this, I used red delicious apples, but you can use whatever apple you want. I though the red would look nicer with the red and black coatings. Granny Smith apples give a nice tart bite to the overly sweet coating. They always make a nice candy apple. You want a large apple with a crisp texture, not a mealy variety. 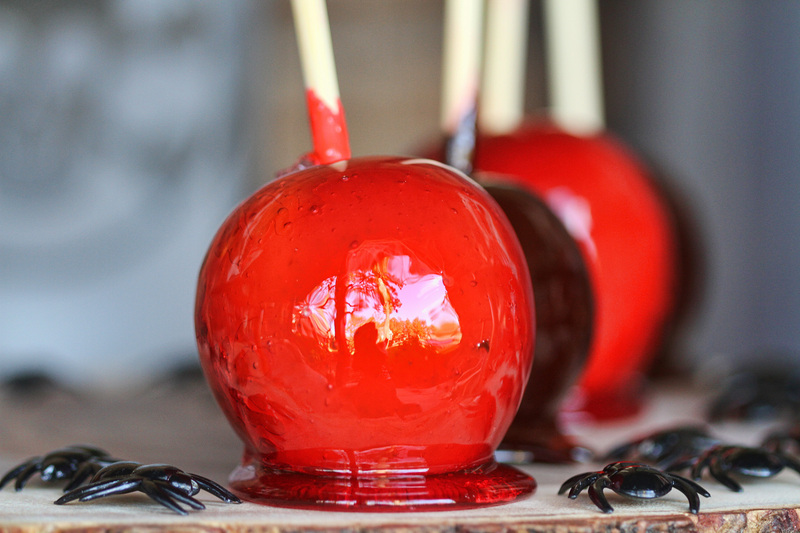 These apples are perfect for Halloween or any fun special occasion. 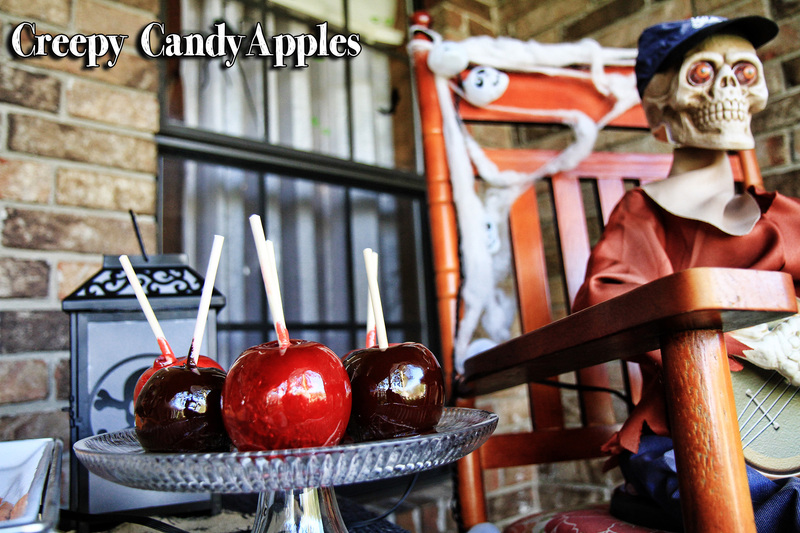 They're hard candy apples, not soft caramel apples so beware when you take a bite. Line a cookie sheet in buttered parchment. 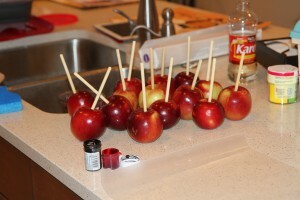 Prepare apples by washing, drying and sticking them with a wooden dowel (I used bamboo BBQ skewers). Measure sugar, water, corn syrup and food coloring into a large saucepan. Bring to a boil without stirring, and then reduce heat. Boil until the mixture reaches 300-310 degrees on a thermometer (or hard crack stage). Immediately remove the candy coating from heat. Dip one apples at a time to coat.